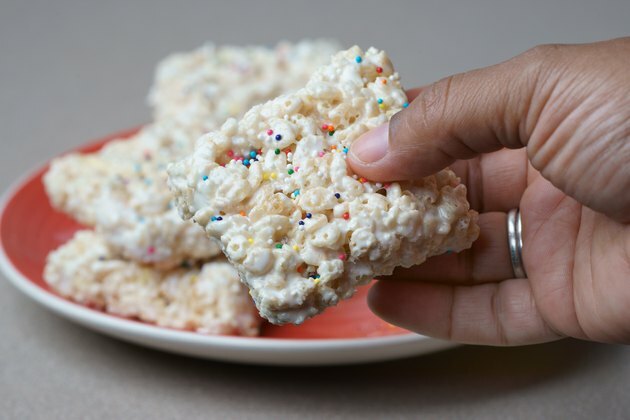 While marshmallow Rice Krispies treats often are not around for long enough for you to have to worry about freshness, at other times you may need to make them in advance for parties or special occasions. If this is the case, keeping them fresh until the special day is essential. Quality ingredients play a crucial role, as do storage methods, temperature and humidity, when it comes to keeping these treats crisp and chewy. Make your marshmallow Krispies treats with fresh ingredients. 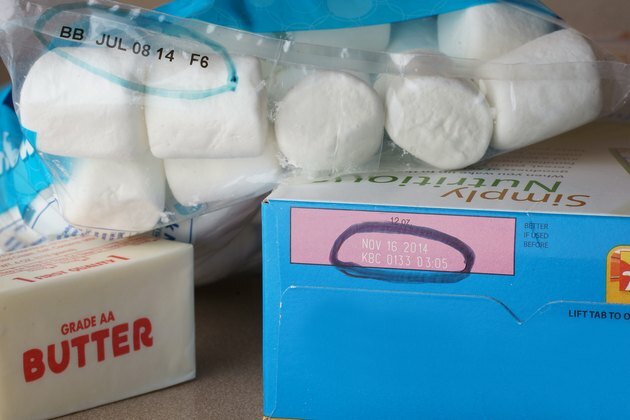 Check the expiration dates of your cereal, butter and marshmallows. Dried out marshmallows or stale cereal can affect the freshness of your treats even before you make them. 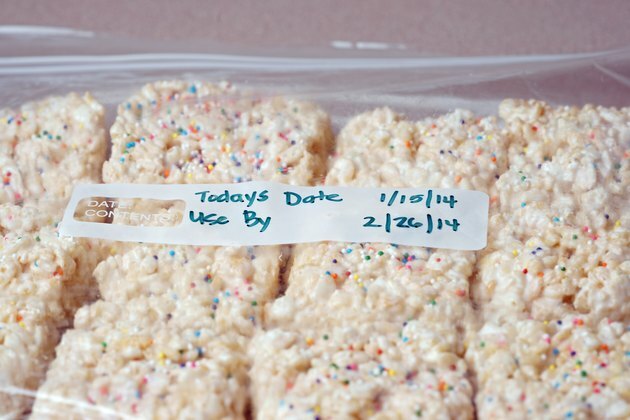 Store completed marshmallow Krispies treats at room temperature in an airtight container for up to two days. Choose a container large enough to store all your treats yet small enough so there's little excess space. The more open space left in the container, the more exposure the treats have to air. This increases the risk of your treats drying out and becoming hard. 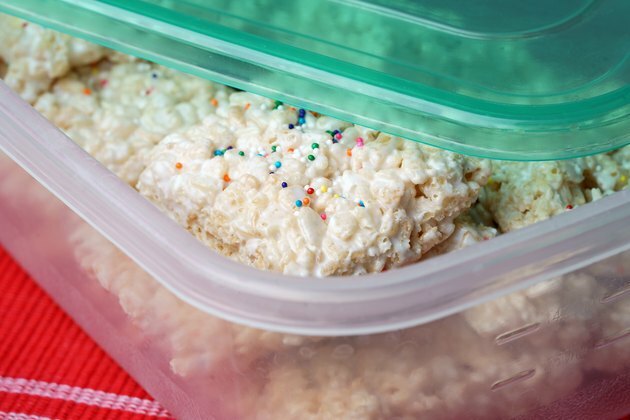 Place your marshmallow Krispies treats in a single layer inside a resealable freezer bag if you need to keep them fresh for longer than two days. Once the treats are inside the bag, squeeze out all excess air and place it in the freezer for up to six weeks. When you're ready to serve the treats, remove them from the freezer and let them sit at room temperature for 15 minutes. To keep treats from sticking together inside containers or bags, layer rows of treats or wrap each individual treat in wax paper. Making large batches of treats at one time and freezing them immediately after cooling lets you lock in freshness and store treats, allowing daily snacks for your family.